One of the bits of this job I most enjoy is visiting my local schools. It is really heartening to see excellent teachers engaging their pupils and pushing them to be the brightest and the best. To ensure as many kids as possible get that sort of excellent teaching the Government has been pushing for the best graduates to go into teaching. Now more than seven out of 10 new trainee teachers now have a high-quality degree - the highest proportion ever recorded. The data from the Teaching Agency reveals that 71 per cent of graduates choosing to train for a career in the classroom now have a 2:1 or higher. This is a record rise of six percentage points compared to last year. That is great news, teaching is a hard, but very rewarding profession and our children deserve the best. Under the Coalition Government, many of the brightest and best graduates now receive a tax-free bursary of up to £20,000. Having an excellent teacher in every classroom is clear aim of this government. Nothing matters more if we are to ensure our young people to succeed in the future. Oscar Wilde said that "Only dull people are brilliant at breakfast". Normally I would have to agree with him being a notoriously slow starter, unless I am outdoors on the gallops on a 3 mile chaser. But today I am having the first in a series of book launches with a breakfast discussion forum with the think tank Policy Exchange at their premises in Storey Street in Westminstera from 8.15 to 9.30. Assorted journalists and clever people are coming along to grill me on the book "Doing Time" and my thoughts on literacy in prisons, how we stop drugs in and out of prisons, and the need to address a different type of community prison. Had a good meeting yesterday with the amazing Howard League, who have long been the leaders of prison reform and am sure we will work together in the future. Obviously if you are footloose in Westminster and want to come and listen to me talk and being grilled then the added bonus is that you do get given breakfast. Hope to speak this afternoon in the debate in Westminster hall at 2.30 on the issue of open cast mining, the activities of various mining and property companies in Northumberland, the failure of Northumberland County Council to finish their minerals or local development plan and the need for a clear energy policy going forward. All that in 6-8 minutes, taking in the impact of Whittonstall, Halton Lea Gate and Shotton will not be easy. However, it is the first chance I have had to raise this issue since the August meeting with Halton Lea Gate residents following the surprising decision of the inspector on the planning application to build an open cast 57 metres from their back door. It is also very relevant given the forthcoming determination of the Whittonstall application in the spring by the County Council. Finally, I will be raising the issue as to why a decent company like Banks is electing to bulldoze across Ponteland green belt in a move that destroys their reputation locally. Sadly it is a shoddy attempt to cash in on the last piece of green belt, in circumstances where local peoples views and wants are being ignored. All this in circumstances where there is no housing need, and plenty of brown field and empty home sites locally to satisfy demand. Yesterday's EU debate and praise from the Germans! "People in Northumberland will be delighted that it is this Government who are keeping the rebate, stopping the budget rise, and working with the fiscal sensibles in Sweden, Holland and Germany. Does the Prime Minister agree that fiscal restraint and constraint are gradually becoming the prevailing argument in Europe?" David Cameron, The Prime Minster: "My hon. Friend makes an important point. We must work hard to keep this alliance together, because there are many countries and parties in Europe that want to see an even bigger EU budget. Sadly, that includes the socialist party, which Labour belongs to. It is campaigning and fighting for an increase in the budget. This is what the leader of the European socialists says: “If the EU budget is decided on the basis of Van Rompuy’s latest proposal—or an even worse compromise—it will be a budget of broken promises. That is the policy that Labour is signed up to, and it is only this Government who are preventing it from happening". “Danke Grossbritannien…you’ve given hope to many people suffering under the terror of EU bureaucracy”. I really welcome proposals to ensure that all households are put on the best deal for their gas and electricity, as published by the Government last week.Energy Bills are probably the key issue that concerns the normal men and women I meet in Hexham. I have been been a vocal campaigner on fuel poverty, and a critic of Britain's energy market for some time. If this really does end up with millions of households being moved to better energy deals, suppliers being limited to four tariffs per fuel type, and customers moved off poor-value ‘tariffs, then I will be overjoyed. I have been calling on the Government to step in reform to Britain's broken energy market for some time and it seems that we are now getting that action. Everyone can see that households across our region, in both rural and urban areas, are facing a really tough time with their energy bills. The Government intends to include measures to limit the number of tariffs companies can offer to make switching easier and ensure households are on the best value tariff in the forthcoming Energy Bill. We need this action. Bill payers will no longer face the choice between hundreds of confusing tariffs; households will have personalised information from their supplier on their bills about the cheapest tariff the supplier offers. These reforms will help stop that once and for all. The Government wants all customers to have been placed on the cheapest price available from their supplier for the tariff type of their choice as quickly as possible and, at the latest, by Summer 2014. These new measures will also make it easier for consumers to shop around for the best market-wide deal. The Environment Agency are anticipating further heavy rainfall tonight and so please be aware of the risk of flooding and be prepared. Incident rooms have opened in Newcastle, York and Leeds and their field teams are out on the ground clearing blockages and operating pumps. There are a number of flood warnings in place including for the Pont. Do be careful and if the weather gets worse don't make non essential journeys - they really aren't worth it. Last Monday I spoke in the debate in the House of Commons on the Grocery Codes Adjudicator Bill, welcoming the new watchdog which will help get a fair deal for Northumberland's farmers. This new watchdog will be able to protect farmers and their businesses from greedy supermarkets. This is long overdue legislation which will force supermarkets to treat farmers fairly. We saw just recently with the issues around milk pricing how much this watchdog is needed. I, and many local people in Tynedale and across Northumberland, have been very keen for this to come forward to protect our farmers. I am proud this government will be delivering on it. The Grocery Codes Adjudicator will ensure that larger supermarkets, which have built business through their effective use of market muscle, will no longer be able to abuse their power to the detriment of producers. In the debate I welcomed the Bill and told the house:"I know that the growers and producers in Northumberland will support this Bill wholeheartedly." In response, Farming Minister, David Heath, assured me that anyone would be given the right to complain to the new watchdog, and that it would help strengthen the hand of British farmers. 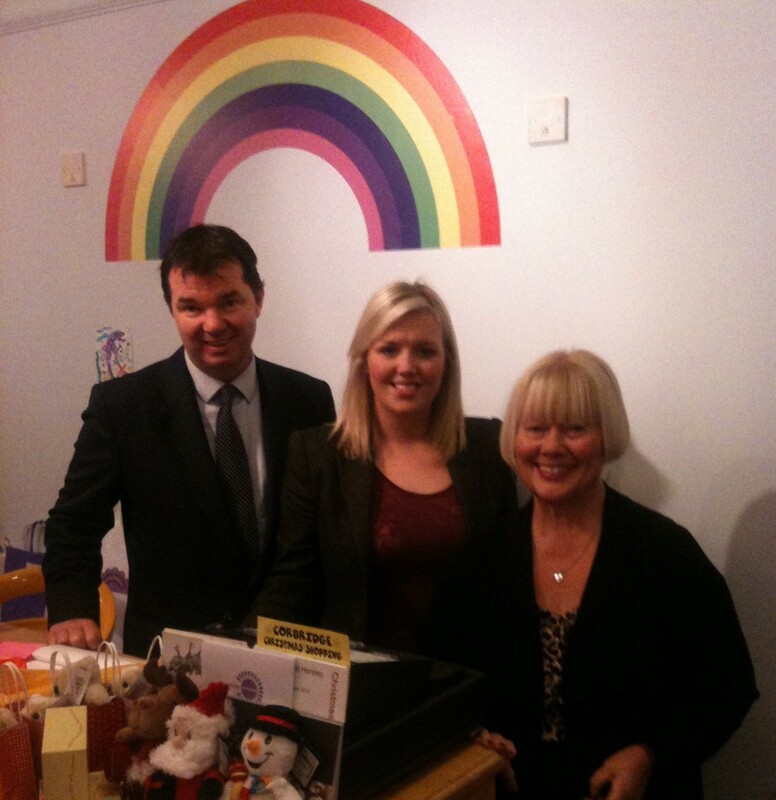 It was a pleasure to open Chunky Rainbows this Friday, a new children’s shop in Corbridge, owned and run by Camilla Hornsby, an entrepreneuring young mum of one. Camilla is a former student of Prudhoe and has made the big step to set up her own business. If we are to turn this economy around then SME’s like Chunky Rainbows will be pivotal in this. I was joined by Corbridge Councillor Jean Fearon at the opening. I have always said that it is my job to promote and support local business, of which there are many fantastic examples across my patch, and I believe we should all shop as locally as possible. Camilla has some great children’s gift ideas in her store and so I hope you will be able to pop in this Christmas and buy local. Good effort by the PM in Brussels - in this country we are cutting our debts and spending to try and cope with deficits and a global recession. Then at 11 I am meeting with Colin Cessford and the campaign group set up to protect the Hexham Greenbelt, to see how we can help stop building on our green belt west of Hexham. Before and after lunch I am then meeting governors and campaigners for the Allendale First and Middle Schools, to discuss the ongoing situation around the possible closure of Allendale Middle. I am particularly keen to ensure that we do everything we can to stop the loss of the 3 tier system of education. I suspect that after this surgery saturday I will be found in the pub! Total Politics Interview - "Brought to Book" features my favourite novels, and the man we all want to be - James Bond of course! Huge good luck to all our young parliamentarians in the Commons today - very proud of every one of you - particularly Callum Crozier representing Northumberland. Media issues will feature strongly next week: Lord Justice Leveson publishes the first part of the Leveson Inquiry into press standards next Thursday. David Cameron set up the inquiry in July last year in response to revelations that the News of the World commissioned a private detective to hack murdered schoolgirl Milly Dowler's phone after she disappeared in 2002. The inquiry, which started in September last year, looked at the culture, practices and ethics of the press in general, and the report will be published on Thursday November 29, at 1.30pm, followed by an "on-camera statement" by the independent Judge. It is expected to include recommendations for the future regulation of the British press. I suspect we will all be doing a lot of reading of this report over the weekend of the 30th November / 1st December. Parliament will debate it soon after I am sure. In seperate news the BBC have appointed a new DG in Tony Hall. In the UK jobs are increasing, as unemployment is coming down - we are presently at 7.8 per cent. "After their first meeting following the election, Labour's leader, Ed Miliband, said: "The points of agreement we have were around the fact that the tide is turning against an austerity approach, that there needs to be a different way forward found. 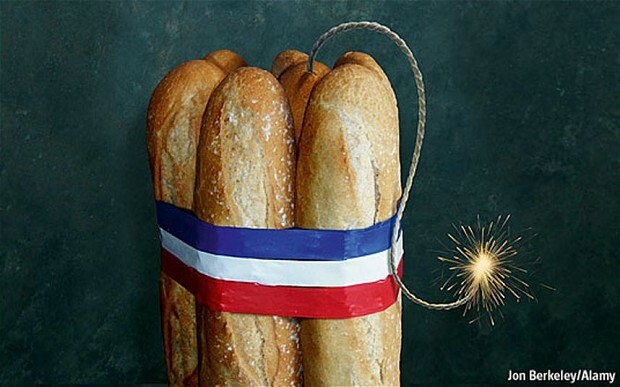 What President Hollande is seeking to do in France and what he is seeking to do in leading the debate in Europe is find that different way forward." Hollande certainly seems to have found a "different way forward", just not quite in the way Miliband anticipated." BBC Radio Newcastle today on "Doing Time"
On Tuesday 324 members of the synod voted for women bishops - but its voting rules meant the 122 votes who voted against were enough to block it. However, the Archbishop of York, Dr John Sentamu, has insisted there would be women bishops during his lifetime. Bishop Justin Welby agreed, as do I. The issue was raised at PMQs today: the PM is a supporter of women bishops, and said: "I'm very sad about the way the vote went yesterday." He then added: "What I would say, though, is the Church has its own processes and own elections, hard for some of us to understand, and we have to respect individual institutions and the decisions they make." I also accept that point and agree with the PM that we have to respect individual organisations voting rules. To be fair the minority within the Church who opposed the measure and gathered enough votes to block it in the House of Laity see this situation differently. That is always the case with difficult decisions. Some synod members on both sides of the debate have called for urgent talks between the two sides to see if the measure can be improved and brought back to the synod. I am sure a way forward can be found. The wisest words were probably spoken by Dr John Sentamu, who said: "The principle [of women bishops] has already been accepted by the general synod. It has already been accepted by all the dioceses. Bishop Justin Welby added: "The Church has voted overwhelmingly in favour of the principle. It is a question of finding a way that there is a real consensus that this is the right way forward. That is going to take some time, some care, and some prudence." As voters in Northumberland have put it to me: if it is acceptable to have female clergy, [which we all now regard as obvious], why do we have a problem with female Bishops? This applies to prison reform. Successive governments have passed tougher and tougher sentences yet reoffending has gone up not down. Reoffending is roughly 70percent. The present system is not working and needs changing. Chris is doing that. His ideas deserve all of our support. I have agreed to be on BBC Radio Newcastle with Jonathan Miles at 10 am tomorrow, live by phone from the BBC studio in Millbank. We will be discussing the ideas in my book Doing Time. Prisoner Voting - what are the options? Giving prisoners the right to vote is such a visceral issue I am going to try and set out the position that presently exists, the pressures from Europe, and the genuine argument that speaks of the need to integrate former prisoners back into society. It is understood that parliament will be asked to review this situation shortly, with a future vote. The present system effectively denies prisoners the right to vote, save for two minor but key exceptions, which are those persons imprisoned for contempt of court and those on remand. However, in 2004 the European Court of Human Rights ruled that a general disenfranchisement of all serving prisoners was wrong. True to form the Labour government did nothing on this issue, so it passed to us to deal with it. In February 2011 Parliament held a general debate on this issue and rebuffed the European argument, and favoured a motion whereby there should be no votes for prisoners, save those on remand or in prison for a civil contempt of court. The options for the way ahead are keeping the present situation, or an extension to voting rights for those who are serving low terms for lesser offences eg a sentence of less than 6 months, or the vote for everyone. There are additional complications as to where the prisoners vote counts - where he lived before prison or where he currently resides ie the location of the prison? Given that Durham prison has over a thousand residents that is a big prison, with a big vote base. As always we will need to read the evidence and hear the arguments, but I have made the point in my book "Doing Time" that we do need to do everything possible to integrate people back into society as they exit prison - for example the need and ability to have a bank account is one aspect that has long been denied them. Bank accounts are now an aspect of post release that is changing for the better. The point being that if you do not equip former prisoners for the outside world they are less likely to be able to fit into that outside world and slip back into their old life of crime. One argument is that having voting rights reminds short term prisoners that they are ultimately still a part of society, and if they behave they can integrate back into that society. But the opposing argument is that by committing a crime you are sentenced to prison and therefore you must surrender some of your civil rights in that society such as voting. I will be looking at the evidence, and the effects on short sentence prisoners in detail, before voting on this issue. I do not look at this issue as a European Court matter, I look at it very much in terms of civil society and rehabilitation of offenders. 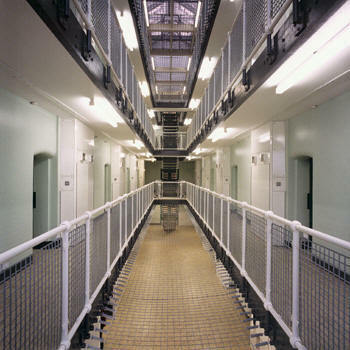 There is little prospect of long sentence prisoners getting the vote from parliament in my view, but the short term sentences are going to be where, I suspect, the heat of the argument is fought over. The PM has made his view clear, which is that giving all prisoners the vote would make him "physically sick." I am a big supporter of minimum pricing of alcohol. I have long been persuaded by the hospital staff, doctors, policemen and ambulance drivers that we need a revised approach to alcohol and it's availability. I am most definitely not against drinking, and love a pint as much as anyone. But there are three points I would like to see addressed. We need a minimum price - the evidence from the medical profession on the number of lives this would save is overwhelming, and absolutely beyond doubt. Secondly the approach of the supermarkets is not acceptable. The way in which drink is marketed and discounted and displayed in stores is frankly wrong. I regret to say that Tescos are one of the worst at this - including my own store in Hexham. It is not right to have cases of alcohol literally as you walk into the shop. Finally it is clear that without some help the British Pub will die: stopping the discounting will clearly help the pub and give responsible licensed drinking in pubs a better chance to thrive. I am absolutely behind the government on this measure. You will also not find a single policemen, doctor or ambulance driver who is satisfied with the status quo. This is the right thing to be doing. Every time I walk into the Houses of Parliament it reminds me how lucky I am to have been elected to represent the constituency of Hexham. One of the best thing about our Parliament is that you, as a taxpayer and voter, have the democratic right to come and see it for yourself. You can come to see the chamber, watch a live debate or take a a free tour of the whole, rather magnificent building. If you live in my constituency I am more than happy to arrange those for you. If you are planning on being in London in the future, please do get in touch with my office and we will try to accommodate you. The more warning you can give us the better, as the tours are very popular but they are well worth it. We can book you in for tours 3 months prior to your visit, and they are absolutely free. Mondays and non-sitting Fridays are the best, and tours are available early morning Tuesdays and Wednesdays. There will be no tours on Thursdays. Please drop my office an email on guy.opperman.mp@parliament.uk or call on 0207 219 7227. Ben Houchen has been selected as the Conservative candidate for the by-election in Middlesbrough. Conservative Party candidate Ben Houchen said: “It was a privilege to be selected as the Conservative candidate for Middlesbrough. Being born and bred here I really relish the opportunity to campaign for the community that has given me so much during my life. It’s a dream come true to be selected as the candidate for my home town." I look forward to helping Ben campaign in Middlesbrough in the coming weeks. The by-election will take place Nov 29th. Many of us will have seen first hand just how debilitating this disease can be for friends and loved ones. That is why I am really pleased to be able to say the Government is taking this issue very seriously. £9.6 million for dementia research: This is to fund the expansion of the UK Biobank to include 8,000 brain scans, to help scientists discover why some people develop dementia and others do not. Extra support for GPs on dementia: This is to better equip them to spot and diagnose dementia, and to help people with dementia and their carers to manage the condition. There will be a dementia toolkit for surgeries, and a requirement on health care professionals to ask patients aged between 65 and 74 about their memory as part of every standard health check. Pilot with schools and youth projects: This ambitious pilot will help young people across the country become dementia aware, helping students understand more about the condition. The aim is for the pilot to be expanded into a nationwide programme. £1 million prize fund for ways to increase diagnosis: Funding will be awarded to NHS organisations that find groundbreaking ways to drastically reduce the number of people with dementia who are undiagnosed by health care professionals. A £50 million fund for environments designed for people with dementia: This funding is to create areas in care homes and hospitals that help to reduce anxiety and distress in people with dementia, and help them feel safe. A commitment on information for people diagnosed with dementia: Every person diagnosed with dementia will be able to obtain detailed information on services and support, as part of the Our Health online service directories, which currently covers the South West of England and will be rolled out across England by the end of March 2013. 42 organisations signed up to the Dementia Care and Support Compact: The 42 signatories to the compact represent 1,800 care services committing to standards of care and treatment for people with dementia. Find out more about these and other initiatives and achievements on the Dementia Challenge website. Just finishing in Westminster. Please do not forget to give generously to Children In Need tonight. The BBC has come in for some criticism lately but it does this evening wonderfully well for a great cause. I went to Ashdod, Tel Aviv and Sderot last month as part of 4 day trip to Israel. All 3 towns are now under attack from rockets fired from Gaza, which is fundamentally controlled by Hamas. The picture of me is taken in the Israeli town of Sderot. The border is a couple of miles behind me and the Palestinian town of Gaza can be seen in the distance barely 5 miles away. At that time they were receiving dozens of rocket attacks on Sderot, in particular, every month. Clearly matters are far worse than when I was there a month ago. I met the Mayor of Ashdod, saw the remains of rockets in Sderot, and walked in Tel Aviv by the seafront where now rockets are being aimed. The repercussions across the region will be huge and are very significant. The Times newspaper has said today that "there was an awful inevitability to Israeli actions in Gaza, both in their origins and their consequences." No democratically elected country can be expected to put up with dozens of rockets fired at its people on its land on a perpetual basis. Noone wants to see bloodshed and I regret the action of the Israeli forces in attacking Gaza. It will not solve what is an unwinnable war, on both sides. But I also have great sympathy for what the Israelis have done - if we in the UK were being attacked repeatedly by another force - then eventually I am sure we would fight back. The tragedy is that the hardliners in Hamas do not fundamentally represent the normal peacable Palestinians. If Hamas is a terrorist group then it will be fought as one. If it is a political party seeking a peacable resolution of its differences on a path to peace then it has to behave in a civilised way. The Arab spring has brought democracy slowly to the region and it is hoped that this could even extend to Gaza. Palestinians must ask themselves whether the way ahead is through Hamas constant barrage of attacks, that inevitably then result in reprisals. Similarly Israel has made life very difficult for those in Gaza and is not without some blame. But peace will never come unless both sides resolve their differences. Can this be done? I believe it can. My godfather fought in the Ulster Defence Regiment in Armagh during the Northern Ireland Troubles and I lived in the North for many months as a jockey in my twenties. That land is now totally changed after a generation of efforts at peacekeeping. It is now fundamentally peaceful, despite some rare ongoing incidents. I hope and pray that similar solutions to peaceful coexistence can be found in Israel, the West Bank and the Gaza strip. 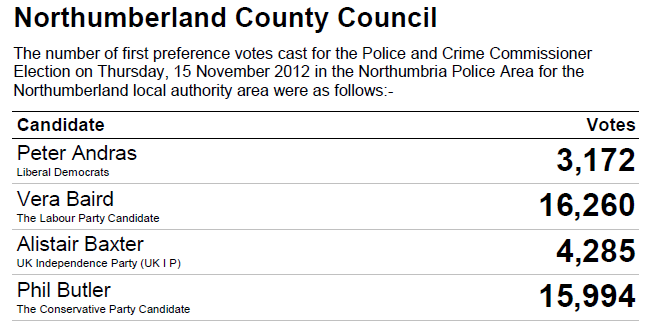 Well that's the result in for the PCC election in Northumbria. As widely predicted Labour candidate Vera Baird took the top job with with 101,170 votes. Congratulations to Vera on her win. What really has took me by surprise is just how well Conservative candidate Phil Butler did, taking 45,845 votes across Labour dominated Northumbria. The Lib Dems limped home 4th behind UKIP with just 13,916 votes. 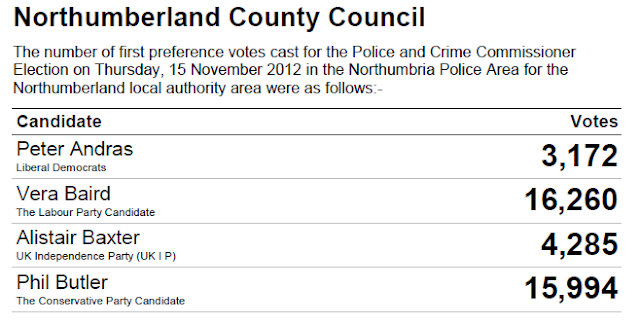 The Liberal Democrats who are increasingly out of the race here in Northumberland pulled in just 7% of the vote. It really is Labour or Conservative here in Northumberland. Last week I welcomed to parliament Canon Graham Usher and Pat Griffiths from Hexham Abbey, along with Tim Jones from the Jubilee Debt Campaign and Dr David Golding, CBE, from North-East Call to Action Against Poverty. 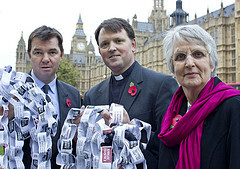 They brought with them a giant paper chain, signed by 1,300 people in Hexham Abbey. The paper chain is part of a nationwide petition to the Government organised by the Jubilee Debt Campaign. The chain measures over 130 metres long, and will now be joined with other chains from across the country. 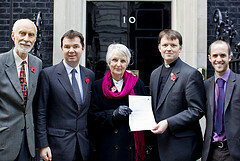 They are also seen presenting a letter to the PM outside Number 10 Downing Street. "I applaud the efforts of the Jubilee campaign to raise awareness of the important issues in the third world. Taking responsibility for the third world is an important recognition that we as a country, and as human beings, are more than a sum of our parts. In Parliament I am proud to have supported an aid budget which has vaccinated more children against disease than there are people in England, that has saved the lives of 50,000 women in childbirth, and has prevented the deaths of 250,000 newborn babies through improved sanitation. I will continue to be a proud supporter of all of those working hard both here and around the world, to support those less fortune than ourselves." A huge effort by everyone involved, and my thanks to the famous four who came to Westminster, and who I tried to navigate through the highways and byways of Westminster, in order that they got the pictures and presentation they wanted. I can assure everyone that the chain is genuinely enormous, and far too big for us all to hold up on college green! Today is Polling Day for Northumbria's Police and Crime Commissioners so don't forget to vote. Your Conservative candidate is the excellent Phil Butler. You can read more about Phil here. New figures this week have also revealed a dramatic reduction in burglary across England and Wales, and latest statistics show that the crime is down by 6 per cent. There were reductions recorded in every region across England and Wales, outside London, including here in Northumbria. It is clear, despite Labour's rhetoric, our police force is rising to the challenge and cutting crime even in a difficult financial time. We need effective policing to cut crime. Police and crime commissioners will be an effective voice for the public, will be independent, and not involved in operational matters. But they will be able to identify priorities and address budgets. Phil is from Heddon on the Wall, and has served 30 years in the local force. I am delighted he has decided to get involved but he needs your support. Nationally, there are now over half-a-million more people in work than a year ago, and 100,000 more than the preceding three-month period. Additionally, youth unemployment has declined by 49,000 on the three months from June. Regionally in the North East employment is also up 19,000. This is really good news and a further indication that slowly the economy is turning around. "I gave birth in the back of an Ambulance"
That was the shocking headline in last weeks Journal. One young mother from Berwick - where the Maternity Unit has recently been closed - ended up giving birth to her baby in the back of an ambulance. As regular readers will know I have been very concerned at the loss of such services from rural communities. I launched a campaign with Cllr Colin Cessford earlier this year to protect the Maternity Services we have in Hexham. No one should have to give birth in the back of an ambulance just because their local Maternity Unit has closed. It certainly won't be happening in my patch. Our successful campaign to protect local NHS services here in West Northumberland goes on. Every year Northumberland Conservatives organise a Social Action Project to help those in need over the Festive period. 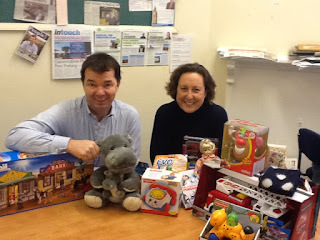 Last year myself and my collegue Anne Marie asked people to help us brighten the Christmas of local North East kids, who were in poverty, with our “Buy One More Toy” Campaign. This was way beyond what we had expected, and we know that each one of those gifts will have given each child a present to open on Christmas Day; without your generosity they may not have received any presents at all. This year we want to make Christmas Day a happy day for even more disadvantaged children in our region and with your help we can. If you feel you can help out, that would be fantastic. If you felt able to send this onto other friends and family, even better! We will be gathering toys throughout November, so all contributions most gratefully received. BBC North East / Cumbria's Political Editor Richard Moss has written a long article on my book 'Doing Time' - all about prison reform. I have copied some of Richard's article below but you can read his whole piece HERE. "For decades our prison population has been growing but now one Conservative MP has come up with a solution - force inmates to learn to read and write. It is estimated around half of prisoners cannot read or write. Hexham backbencher and lawyer Guy Opperman believes unless that is tackled reoffending will remain a significant problem. He is suggesting judges impose literacy courses as part of prison sentences with offenders required to complete them before release. It is just one of the ideas in a book Guy Opperman has written about how to tackle what he says is a crisis in our prison service. In Doing Time, the MP also says the drug culture in our jails must be eliminated. But he also suggests that churches, charities and communities ought to be given the opportunity to run what he calls Big Society prisons. Many of the ideas - including those on literacy - come from Mr Opperman's personal experience as a criminal barrister. He became an MP in 2010. He writes: "The sad reality in my experience is that very few clients were able to give you any meaningful written instructions. "Too often my clients in prison simply could not read or write. It was very humbling." The solution he believes is to make sure prisoners do leave jail with improved literacy and numeracy skills. He says as few as one in five prisoners who need help actually seek it or receive it in prison. So as well as imposing literacy courses as part of a prison sentence, he suggests that criminals be offered an early release if they complete them. He said: "Many criminals are released early and we know that attaining this motivates those in jail to behave. "If we allow judges to sentence criminals to literacy courses we can harness that motivation to give them the basic skills that will make them less likely to offend again." The Conservative MP also calls for much stronger action to get drugs out of prisons. He wants tougher screening of all those who enter or visit prison to try and keep drugs out. He believes the government should trial a scheme where everyone entering a jail - from Home Secretary to relative - should be scanned or x-rayed, and if necessary, physically searched - something that does not happen at the moment. He also wants every offender drug tested on admission and mandatory treatment programmes for those who are known users. Mr Opperman also believes drug-free wings have to be created to make sure offenders who want to get clean can do. And once again he says offenders should be offered an early release if they complete drug treatment programmes." On Saturday I was in Mickley. It's a fascinating village with a wonderful history. 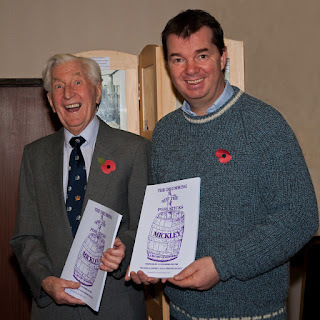 Jim Standish is a very well respected former local headteacher and the President of Prudhoe and District Local History Society. He has written a delightful book on the history of the village - 'The Drumming of the Poss Sticks'. 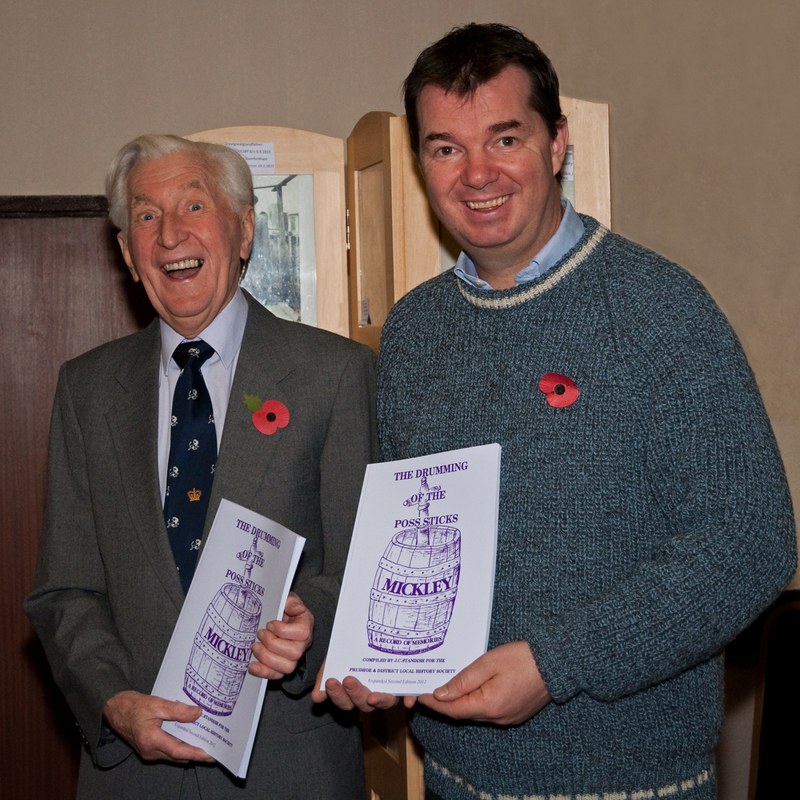 I was pleased to help give the book its official launch. Well done to Jim, Ron and all the others who did so much hard work to bring this wonderful second edition back to life. My thanks as ever to the wonderful Moira Wooldridge, Prudhoe's Community Photographer, for the photo. My first book: "Doing Time"
"Doing Time", has just been published. It's all about reforming our prison system so we can tackle reoffending. Prison does work. It locks people up so that the prisoner cannot then commit a crime: yet prison for years has failed to change the prisoner’s behaviour. It is a disappointing fact of our prison system that, under the last government, released prisoners had a reoffending rate of approximately 70%. Prisons are a short term fix, not a long term solution. Reoffending doesn't just damage the lives of those caught up in the cycle but it hurts the public too, making ever larger numbers who are victims of crime. The public, rightly, does not want us to be soft on prisoners. They are there to be punished and our Justice system needs to command the respect and confidence of the public. However, repeated polling also shows that the public wants prison to be more effective at changing prisoners’ behaviour. Put simply, it wants government to knuckle down, make prisons work and tackle reoffending rates. I have written a book that analyses past problems, makes suggestions for future changes, and assesses how things are changing under the new government. My view is that simply locking people, and then releasing them, illiterate, with no basic skills, still often addicted to drugs, and with little work experience, we have created a recipe for disaster. My book is being launched formally in Hexham with a talk at the Beaumont Hotel on the morning of Saturday December 8th. There is also a launch event in London organised by the think tank Policy Exchange on November 28th. If you would like to attend either event please email me at guy.opperman.mp@parliament.uk. The books is also available on Amazon and all good bookshops, including the wonderful Cogito Books, just round the corner from the office in Hexham. I should add that I am not being paid to produce the book, and that all profits go to the National Brain Appeal, which is the charity that supports the hospital that saved my life last year. Remembrance Sunday is always the most important day of the year for me as an MP. Today I was at Haydon Bridge, at the beautiful St Cuthberts Church. 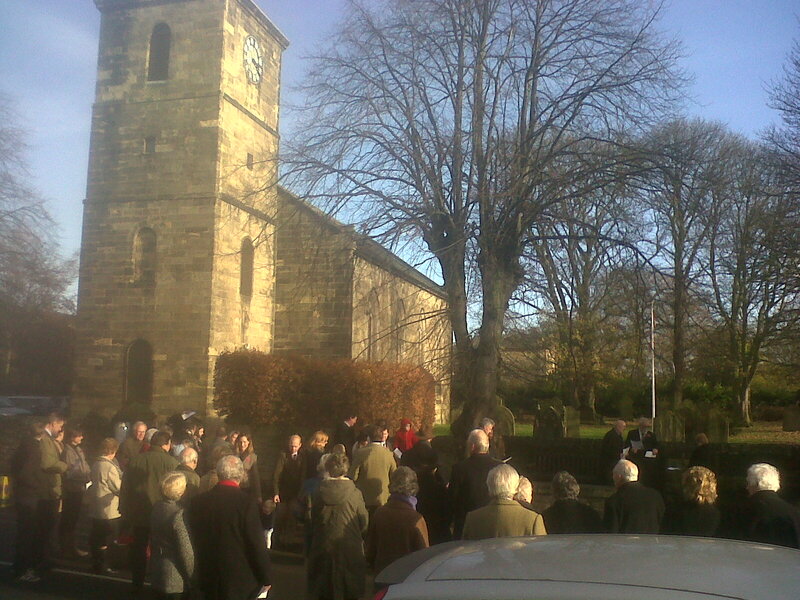 Last year I attended the church service in Prudhoe; the year before that I was at the Abbey in Hexham. The day has a powerful hold on our community, and the events in towns or villages are always well attended all across the County. 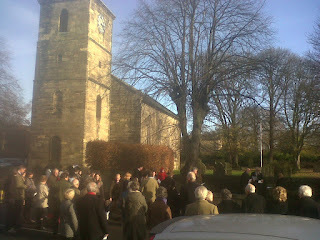 After the church service at St Cuthberts we then went outside to the war memorial where we laid our wreaths. Then the names of those local people who lost their lives in the 1st and 2nd World Wars were read out in a very moving ceremony. Then I stopped by the Methodist Church and had coffee with and spoke to locals who had been at the Haydon Bridge ceremony, before driving to Hexham. After the Parade, 2 minute silence,and the church service in Hexham's Abbey, every year the Town Council organises a lunch for many members of the community, and representatives of the local regiment, 39 RA. Their CO gave an excellent speech, which was notable for two comments in particular: first, he credited Derek Tiffin, and the organisers of the Hexham parade / service, when he said: "I have been in the army 22 years, and have never been to such a well organised parade." I am sure he was right - the Hexham Parade is run like a military operation. Then he asked us to remember 51 Battery of the 39RA, who are the troops presently serving in Afghanistan from the regiment. That particularly brought it home to all of us. During the lunch I also got a chance to chat in detail with some of the serving officers, the RSM, and their wives. As always, I left the Rememberance Day Service, and the Lunch afterwards, in a sombre mood. The work of our forces, and the families who support them, is hard to describe, but recognised by all as being a credit to the nation. It is always a humbling day. Today I am in Haydon Bridge at church, and then at the memorial at 11am. Last year I was in Prudhoe. After the ceremony I am heading back to Hexham for lunch with members of the local council and soldiers from 39 RA. This Sunday I am on the northern edition of the Sunday Politics at 12.30, along with the Labour MEP Stephen Hughes. It is a pre-record done this weekend, but it goes out at 12.30 tomorrow on BBC1. We are discussing the TA announcement, ash dieback disease, Justin Welby's appointment and how to stop offenders reoffending. It is an interesting discussion. "Don't buy a dog and bark yourself" is the old adage that surely applies for those who are seeking to prejudge both the content of Lord Justice Leveson's report, and the House of Commons approach to press regulation. All parties agreed to the commissioning of a detailed report into press regulation. I want to see the content of the report before I come to any conclusion. I have always believed that you should look at the evidence before coming to a decision. Otherwise you have trial and judgment by hunch or supposition. So for my part I will await the report, study it and then come to a view. - I was asked if I wanted to sign a letter to the Guardian this week and declined, for reasons that I expand upon above - namely a desire not to pre judge an independent judge. - It is clear that the house of commons is divided prior to the publication of the report as to what should be done. - Some argue that self regulation has clearly not worked and that light touch statutory regulation by an independent body is the way ahead. - Others argue that statutory regulation of the press is an impingement on free speech, and a bad step towards limited control of the media by the state through parliament. - Clearly the press want as little regulation as is possible. For my part I would like to think I have seen the good and bad of all sides: I have worked for newspapers and magazines, albeit on a very amateur basis as a young man, but I know that the vast majority of journalists are law abiding, straight and decent people. I wrote well over 100 articles for a variety of papers and magazines in my youth. We owe the discovery of so many stories and scandals to the work of the press. No one should want that ability to shine a light on misdeeds and misdeanours to be dimmed in any way. But there have been multiple wrongdoings by a minority - predominantly at the tabloids, as they effectively acted above the law. Yet the law has caught up with some of them, and some will go to jail. Yet this process has taken time, some innocent careers and lives have been wrecked in the meantime, and I know that most people fear the wrath of the papers who can make or break you in a moment, regardless of what you have done. But in all this I return to the fundamental. Let us see what Leveson says, then evaluate his reasoning and approach and then decide. I am presuming a free vote on this issue. Clear, crisp, morning. Packed day followed by the annual task that sees hundreds of Christmas cards written, stuffed, labelled and stamped. We send out nearly 800, all hand signed by yours truly. Gave a 30 second interview today on the wonderful news that the Bishop of Durham has got the job as Archbishop: the church have chosen well. He is a rounded man, with great faith, and a true concern for the poor. All I have seen of him, and the times I have listened to him, I have been extremely impressed. I wish him well, although he has a tough in tray. Last but not least he has an understanding of the North, and more recently the North East. My local churches will delighted. Many congratulations to Conservative MP Richard Ottaway’s whose Private Member’s Bill was voted through today in the House of Commons. The new Bill will now go to the House of Lords and now stands a very good chance of becoming law. Most pleased will be the church but anyone who has been delayed by metal theft to railways or the like should be equally delighted. Many industry groups including Alchemy Metals, ATOC, British Metals Recycling Association, BT, Calor Gas, Electrical Safety Council, Energy Networks Association, E-On, Network Rail, Rail Freight Group, SITA UK and UK Power Networks praised the fact that the Bill passed through its third reading. This has been a long campaign to close one of the key loopholes and it should act as a major deterrent to scrap metal theft as the offence is now traceable, whereas before it clearly was not. This wicked offence has seen churches and war memorials targetted in particular. Private Members Bills only go through if noone objects in the House. A compromise was reached with a few parliamentarians, who had been concerned as to the drafting, so that the Bill will be reviewed in three years time, with a sunset clause for five years. This gives time to evaluate the Bill in action and revise it if necessary. I return home first thing tomorrow for a big push to help Phil Butler become Northumbria's PCC. As a former senior police inspector running a multi million pound policing budget and a large team he is exactly what we need. He is also now both a businessman and a part time lecturer. It's worth bearing mind that Ms Baird was booted out as an MP in Redcar in 2010, with the biggest swing against any Labour MP in the country. It's a comment I am sure she now regrets. Having worked with the police for 20 years as a criminal prosecutor, and done 9 murder trials and a host of criminal crown court trials, I have nothing but respect for the police. I also genuinely think that Phil would make be a great man for the job. I like the fact that he has only recently put his hand up and volunteered to get involved in his local community now that he is able to - having left the force. Like all candidates he is unpaid. If it were a choice between John Prescott's best mate and Phil Butler to be advising and working with our wonderful Chief Constable I would take Phil every day. But that's democracy - its down to you the voters to decide. If you do not cast your vote on Thursday of next week you will not get the Police Commissioner you deserve. Because of a racing fall at Stratford, when my left side was kicked in by a horse as we both fell at the second last, I have no spleen, and am immuno - compromised. As I result I need the flu jab. The seasonal flu vaccination is important to help protect those people who are more susceptible to serious complications or even death from flu. I would encourage all those that are over the age of 65 or are in one of the ‘at risk’ groups to visit their surgeries and get vaccinated. Last year, 76% of people over 65 years and 57% in the at risk groups were vaccinated against flu in the Hexham area - that is a lot of people who remain 'at risk’. This is me getting the jab last week in Westminster. It worries me a little that the very sweet nurse is smiling so much - but the jab was effectively painless and takes 30 seconds. With a rough winter on the cards it is vital that pensioners in particular obtain the protection they need. Christmas shopping begins in earnest this weekend in Northumberland. This Thursday 8th November through to the weekend Brocksbushes Christmas Fayre takes place next to the Corbridge roundabout. In between these 2 dates is the Red Cross Hexham Christmas Fair on the 28-29th November at Hexham Racecourse. I know many of the stall holders at all three events and all are very good and highly recommended. As always shop local as you use it or lose it! Their calendar features heavily in this weeks Courant. I won the Tynedale point to point in 2009 and know many of the women who are featured. They are certainly very impressive in their ideas for raising money for the GNAA. I walked the pennine way. Something tells me they may raise more cash! I wish them well with their fundraising and am certain that the calendars will be selling well both at the Xmas markets in Northumberland but also country wide. Trying to get in to the Afghanistan debate first thing, then raising the issue of the integration of emergency services at cabinet office questions at 11.30. Then PMQs with Nick Clegg as the PM is in the gulf on a trade trip. Then looking forward to welcoming Graham Usher, Canon of Hexham Abbey, and several parishioners, who are bringing a petition to 10 Downing Street this afternoon followed by a long paperwork session in the office. - Romney failed to project a message that he was the choice for middle America. In doing so he lost a n election he clearly could have won. - A big turnout, with many making the case that Hispanic, and female voters in particular determined the win. - Ohio was won by Obama - proving once again it is the bellwether key swing state. Obama's democrats have a strong control on the mid west. Quite clear that Republicans will never win the US election unless they can make real inroads in the mid west, because their strength in the south is not enough. - Huge issues remain in respect of how Obama will address the American debts, which are huge. Their big task in the next four years will be the fiscal deficit and the debt ceiling. Resolution needed to address the fact that America state spending is too high and their debts mounting. - Romney did not win his home state of Massachusetts and Paul Ryan, Romney's vice presidential choice, failed to win Wisconsin. Two big losses. - The Supreme Court of the USA will change a lot under a second Obama term - key issues in America are abortion law, and the Tea Party / Romney campaign to overturn Roe v Wade and address issues like contraception law were apparently rejected by female voters. - Key final message is that elections are won from the middle ground, where the majority of voters live. Tea Party has taken Republicans way too far to the right. On Thursday 1st November the Conservative MPs Priti Patel and Henry Smith brought forward a motion in the House of Commons seeking the Government to commission a comprehensive study into the full economic impact of APD in the UK and to report back on the effects. The motion was passed. I managed to speak in the debate. - one, whether the reduction of this tax would actually produce greater tax revenue / growth in the economy. - two, whether there is a way to make the APD fairer amongst the UK as a whole - whereby one possibility is that the regions get a lesser rate as compared to London and the South East. The point I made in the debate is that “a change to the regional APD would make a huge difference to regions such as the North East”. Postal votes are being sent out to elect our first ever Police and Crime Commissioner for Northumbria. If you have a postal vote don't forget to return it. The PCC elections use the supplementary voting system. Voters will be asked to select their first and second choice of candidate. Your excellent Conservative candidate for Northumbria is Phil Butler. A local man, and former officer with Northumbria. You can find out more about Phil and his campaign HERE. Labour's candidate is the former MP for Redcar who got booted out in 2010. Earlier this autumn I went on a 4 day trip during recess to Israel. I will try and address the findings of that trip in a series of blog posts. Regular readers will know that I try and travel to the Middle East once a year. Last year I went on my own to Beirut; previously I have travelled to Jordan and parts of Turkey. The aim is to get a better understanding of one of the most complex regions in the world. I am certain that peace in the Middle East is the ultimate safeguard to the world. However, whilst the Arab spring is fundamentally a good thing it is clear that there remain massive ongoing struggles and issues across the region. The state of Syria is descending ever more gruesomely into a multi party civil war, with various factions trying to bring down Assad. Some of this conflict is spilling over into Lebanon, and even Turkey. The situation in Israel is complex, as ever. There is significant ongoing conflict in the south of the country near the Gaza Strip. Yet the push for a peace and land swap with the Palestinians is no longer the Israeli's chief concern. The search for some sort of coexistence with the Palestinians, in whatever shape or form such a thing is, has been the number one issue for many years. But this pales into insignificance when the issue of Iran and its plan for a nuclear weapon is discussed. The harsh reality is that the horror that the world has managed to avoid for so long - namely the detonation of a nuclear weapon - is no longer a remote possibility. When in Israel I did many things ranging from a visit to the moving Holocaust Museum at Yad Vaschem in Jerusalem, to a trip to the border of the Gaza Strip at Sderot. But everywhere we went the fear of an Iranian attack was always in the conversation, always in the background. It pervades the entire way of life. Israel presently has an election, to be decided in around two months time. Their politicians clearly are hoping that the sanctions against Iran will work and that any nuclear build up in Teheran will not materialise. But if there is one issue that will face the UN, the G8, the future american president, whoever that may be, and whoever wins the Isreali election, it will be this simple issue: what do we do if Iran manages to build, or gets close to finishing a nuclear weapon? US President, Leader of China, head of the Bank of England and Archbishop of Canterbury all to be decided shortly. First up is Tuesdays Presidential Election - my money is still on Obama to win more easily than people think. True, he appears to have lost Florida, but his hold on the mid west in Ohio, Wisconsin, Pennsylvania, Illinois and Michigan will see him home. On Thursday China holds its once in a decade leadership summit. The new Central Committee will decide the direction of the country, which is clearly going to take over from the USA as the global emphasis of superpower moves east. Shortly thereafter we have two key appointments - the new head of the Bank of England is a key job for us as Sir Mervyn King stands down. My money is on Paul Tucker for the top job, but that is simple supposition not inside knowledge. A tougher call is the next Archbishop of Canterbury. Many thought the job would go to the wonderful John Sentamu, the Ugandan born archbishop of york, who I occasionally see on the train and who is a wise church leader. But I have a sneaking suspicion he may be pipped by a northern outsider in the form of the Bishop of Durham, Justin Welby, who is well known in the north east. It should be a very interesting few weeks. - In June there was publication of the Overseas Territories White Paper, which the House of Commons hopes to debate quite soon. Its by line is "Security, Success and Sustainability." - In the spring the Falkland Islands will be holding its referendum in line with the UN Resolution 1514 which holds that "All peoples have the right to self determination". I am certain that the Falkland Islands will overwhelmingly want to remain British. 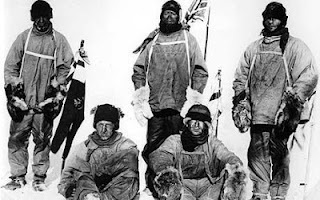 It is worth noting that the amazing work of the British Antartic Survey has continued the vital scientific work that was part of the Scott expedition. For my part I felt like captain Oates yesterday as the speakers in front of me went on "for a very long time". I consider it the highest honour to be an elected representative in Her Majesty's Parliament. At a time when we are trying to rehabilitate parliament in the eyes of the population it is a disaster that this man has behaved as he has. I accept it will affect parliament's standing in the eyes of the people, and I am really saddended by that, irrespective of which political party this gentleman belongs to. The facts are these: this morning the Parliamentary Commissioner for Standards (the MP’s “watchdog”) recommended that Denis MacShane, Labour MP for Rotherham, be suspended for 12 months for submitting expenses invoices which were, in the Commissioner’s words, “plainly intended to deceive” the Parliament’s expenses authority. They found that he submitted 19 false expenses invoices worth £12,900, over four financial years between 2004 and 2008, for "research and translation" work carried out by the European Policy Institute. Subsequently Mr MacShane resigned today as an MP. Although many people would not believe me such abuses are very rare in the post 2010 parliament - please note these offences date from the time of expenses problems in 2004-2008, which is a different era in my view. I remain of the view that things have changed in the modern post 2010 Parliament, with half the MPs now being new MPs; but it is also right for rogue MPs to be booted out when we do wrong in this way. In the longer term it will mean that there are to be 2 by elections in the North in the spring in Middlesbrough, and now Rotherham. This week has seen the issue of the EU budget negotiations debated in the House of Commons. For a long time the PM has been trying to cut the EU's attempt for a large budget increase. In this he has been making progress with other countries also seeking restraint in difficult times. Labour’s record at the negotiating table seven years ago is worth analysing. Under Tony Blair, as advised by his then adviser Ed Milband, Labour were happy to increase the EU budget massively, at every single negotiation. Worse still, they threw away half the UK’s rebate. Don't get me started about Gordon Brown selling our gold - you get the picture. Then this year the Labour group in the European Parliament called for an increase in the budget. However, this week the Labour opposition in the House of Commons decided to cause mischief; although when asked they refused to answer if they would invoke the veto that Britain still holds over the EU Budget. "At best we would like it cut, at worst a frozen budget, and I’m quite prepared to use the veto if we don’t get a deal that’s good for Britain"
Journalists love to find splits in government but the reality is that we are the ones trying to stop the budget get increased, as we have long argued. If the EU tries to increase the budget at the talks on the 22nd November, I hope that the PM will veto it. Will we need immigration controls if Scotland leaves at a referendum? So says the conservative North East MEP Martin Callanan, who I spoke with at length a few days ago. He makes the point that if Scotland goes for independence it will almost certainly not receive automatic entitlement to join the European community. As such it will be an independent country outside the Schengen Agreement on border controls. They will also neither automatically have the euro nor the pound. Scotland would have to apply to join the European community. This may well be objected to by the Spanish and the French. Why? Because the Spanish do not want to let Catalonia have independence and be part of a united europe. The French face similar problems with the Corsicans, who want independence from France. Both these very powerful European countries do not want small regions leaving their country, and are sure to object to Scotland getting access to the European Union. I think that that PM is right to give the Scots a choice. But with such a choice comes consequences. And at the end of this if there would be independence, then a future Scotland would have no Barnett formula, no subsidised military bases, NHS or RBS. It might make the north east a very attractive place to be for the scots. But we would probably have to have border controls. I remain committed to the great union that has led to us standing shoulder to shoulder against all the world, from the days before the empire and napoleon, through two world wars and beyond. To cast it aside would be wrong. We are better off together.